Energy Efficient Lighting Upgrade - Current Technologies Ltd. In need of lighting services? Call 416-240-7691 today. If you are seeking more information about "Energy Efficient Lighting Upgrade", then give us a call. Here at Current Technologies Ltd., we offer a wide variety of energy effecient lighting upgrades for our clients and would be more than happy to help you as well. Our lighting specialists are each highly trained and experienced in providing energy effecient lighting upgrades, and would be happy to answer any inquiries you may have. Have a question regarding our energy effecient lighting upgrade services? Give us a call today at 416-240-7691. Current Technologies offers services such as Installation Services, Power To Machinery, Life Safety System Installation and Maintenance, and many more electrical services which we offer to our customers. 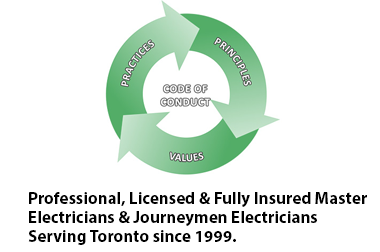 If your situation is imperative, call Current Technologies Ltd today at 416-240-7691 and ask for a free quote.